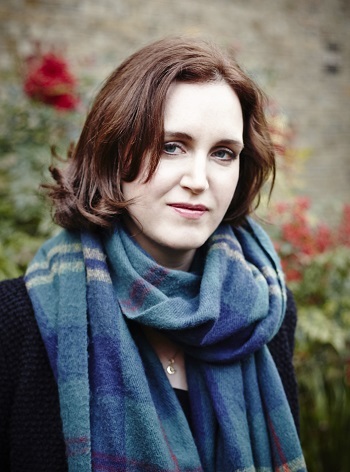 Helen Grime studied oboe with John Anderson and composition with Julian Anderson and Edwin Roxburgh at the Royal College of Music. In 2003 she won a British Composer Award for her Oboe Concerto, and was awarded the intercollegiate Theodore Holland Composition Prize in 2003 as well as all the major composition prizes in the RCM. In 2008 she was awarded a Leonard Bernstein Fellowship to study at the Tanglewood Music Center where she studied with John Harbison, Michael Gandolfi, Shulamit Ran and Augusta Read Thomas. Grime was a Legal and General Junior Fellow at the Royal College of Music from 2007 to 2009. Grime has had works commissioned by ensembles and institutions the London Symphony Orchestra, Barbican Centre, Aldeburgh Music, Birmingham Contemporary Music Group, Britten Sinfonia, BBC Scottish Symphony Orchestra, Chamber Music Society of Lincoln Center and the Tanglewood Music Center. Conductors who have performed her work include Sir Simon Rattle, Pierre Boulez, Daniel Harding, Yan Pascal Tortelier, Oliver Knussen and Sir Mark Elder. Between 2011 and 2015 Grime was Associate Composer to the Hallé Orchestra. This fruitful period resulted in a series of new works and a recording of her orchestral works released by NMC Recordings. This disc was awarded ‘Editors Choice’ by Gramophone Magazine on its release and was nominated in the Contemporary category of the 2015 Gramophone Awards. In 2016 her Two Eardley Pictures were premiered at the BBC Proms and in Glasgow, winning the prize for large-scale composition in the Scottish Awards for New Music and a nomination in the British Composer Awards the following year. Grime is Composer in Residence at the Wigmore Hall for the 16/17 and 17/18 seasons. Highlights of this period include the premieres of a Piano Concerto for Huw Watkins and Birmingham Contemporary Music Group conducted by Oliver Knussen and a song cycle Bright Travellers for soprano Ruby Hughes and Joseph Middleton. In 2017 she was commissioned by the Barbican to write a two-part work for Sir Simon Rattle’s inaugural season as Music Director of the London Symphony Orchestra, with the first instalment, Fanfares, opening its 17/18 season and the complete work, Woven Space, receiving its premiere in April 2018. She is currently working on a concerto for percussionist Colin Currie.